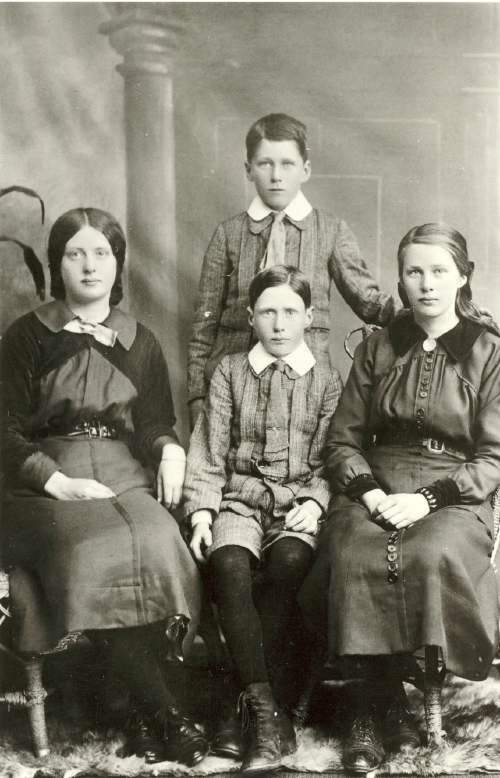 Black & white copy of photograph of children of Alexander Walker and Margaret Walker (nee Gunn). Standing: Alexander John Walker (10/10/1902-6/11/1980). Seated: Georgina Margaret Walker (2/6/1897-c.1984), Donald Walker (21/12/1904-c.1986), Christina Jane Walker (1/5/1899-27/4/1972).